In the past couple of years, and especially in 2015, the strip of road that runs up and down Hollywood beach and Hallandale beach has been undergoing major renovations. Hollywood beach has always been a great beach town with an awesome boardwalk that stretches 2.5 miles, but the area has always needed some upgrades in regards to lodging and dining to truly make it a relevant and exciting beach town that could compete with the likes of Miami’s infamous South Beach. There have been a few new resorts that have opened in the area this past year, like Jimmy Buffet’s Margaritaville resort and a few others, but none of them are bringing the style and class that the all new Beachwalk Resort is offering. After opening its doors on May 1, 2015, Beachwalk Resort is offering guests an unparalleled experience that is on par with what you might find in South Beach. The resort has breathtaking beach and city views, with access to a private beach club at the new Hyde Beach Kitchen + Cocktails, and they even offer complimentary shuttle service to major hotspots in the area. Rising 33 stories above the water, just one short block from the beach, the Beachwalk Resort lies at the very center of the most iconic recreational, residential, shopping, dining, and entertainment paradise on earth. One part land, one part sea, the Beachwalk Resort offers leisure travelers the Best of Both Worlds. Located on the Intracoastal Waterway between Miami Beach to the south and Ft. Lauderdale to the north on Hallandale Beach Boulevard, the resort is one easy block away from the beach. This was one of the views from our balcony. Our one bedroom /one bath suite was 738 square feet and had access to the oversized balcony that features stunning views of the Intracoastal Waterway and the downtown skyline. The balcony adjoins both the master bedroom and living room in every suite. The master bedroom features a king bed and additional sleeping is available in the sectional sofa. This is truly a state of the art fully equipped kitchen. You will not find micro refrigerators and useless kitchen equipment at Beachwalk Resort. All appliances are stainless steel, and the cabinets are fully stocked with cooking utensils and dishes. All suites feature contemporary Italian furnishings, floor to ceiling windows and a spacious living room with access to the over sized balcony. Yes, even the bathrooms here have a designer element. Our bathroom was very spacious and offered room for everyone to get ready with no crowding. Upon arrival, you're greeted with a sleek and sophisticated lobby, reminiscent of world traveling. The interior is by Italian design Pininfarina, and it's complemented by curated works of art from the personal art collection of the developer, Jorge M. Perez, the CEO and founder of The Related Group. If you are an automotive enthusiast such as myself, then you are familiar with the name Pininfarina. They are an independent Italian car design firm and coachbuilder in Cambiano, Italy founded in 1930. Pininfarina was employed by a wide variety of automobile manufactures such as Ferrari, Alfa Romeo, Peugeot, FIAT, GM, Lancia, and Maserati, to name a few to design vehicles. Beachwalk Resort has a fitness center with a view so you can maintain your workout routine while on vacation. This is a fully equipped fitness center with over 1,000 square feet of space that offers machines, free weights, and gorgeous views of the infinity pool. Speaking of that infinity pool, Beachwalk Resort has an infinity edge pool that overlooks the beautiful Intracoastal Waterway and Hallandale Beach. The pool area is conducive to spending an hour or an afternoon lounging poolside on a chaise lounge, or in a cabana for a more intimate experience. Whether the mood calls for dining in, at the resort's Beachwalk Bistro & Market, on the beach or elsewhere, guests are given a variety of culinary options. Chef Jaime Magana, who cross trained in Amsterdam at La Rive, a two Michelin star-rated restaurant, offers over 15 years of experience at Beachwalk Resort as the executive chef. He's in charge of all F&B on property offering a fresh, seasonal menu, including breakfast, lunch and dinner. For those wanting a quick to-go item, the bistro offers a variety of freshly made sandwiches, salads and refreshments. A simple but elegant breakfast offering at Beachwalk Bistro. English muffin and toast served with real butter and gourmet jams at Beachwalk Bistro. Families and couples alike will discover that the Beachwalk Resort offers a vacation experience wholly distinct from the other resort choices in the area. As the newest resort in the Hallandale-Hollywood Beach area, the Beachwalk Resort offers sophisticated European inspired design, spacious, home-like suites complete with fully equipped kitchens and in-unit washers and dryers, amenities, complimentary access to Hyde Beach Kitchen + Cocktails, plus easy air and driving access for all domestic and international travelers. Guests will also enjoy the proximity to South Florida’s world renowned shopping, dining, entertainment, casino and racing attractions. The location, midway along South Florida’s Broward-Miami Dade oceanfront corridor and just a block from the beach, means every guest can enjoy more vacation for the money. But what really sets Beachwalk Resort apart is how they cater to each individual with a uniquely proactive brand of service designed to anticipate and fulfill the needs of every guest. Beachwalk Resort is not only a perfect location to enjoy all that South Florida has to offer but also provides the perfect venue to get closer to the people that matter most to you. Whether you are staying with your entire family, a group of dear friends, or your significant other, Beachwalk Resort allows you to spend quality time. Relax on the beach with your friends, enjoy an intimate dinner, or take a shopping trip... the choice is yours. By the end of your stay, you’ll leave feeling closer than ever. The 33 story resort offers 216 divisible suites with wrap around balconies that have inspiring views of the Intracoastal Waterway. The resort is professionally managed by Gemstone Hotels & Resorts, known for their upscale independent hotels and resorts. Right now, the resort is offering a Suite Winter Escape package that starts as low as $199.00. For a limited time, luxury suites at Beachwalk Resort are being offered at a great discount that Includes complimentary "American Breakfast for Two" for Each Day of Your Stay. 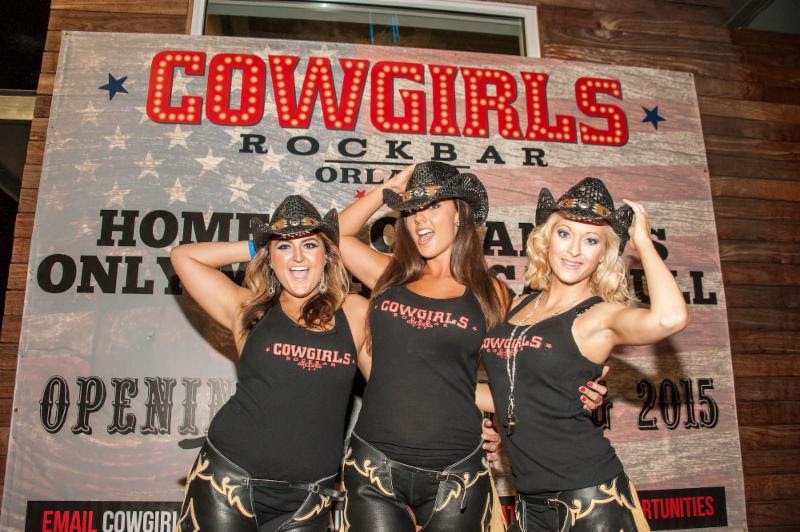 Cowgirls Rockbar Orlando is now open with Boots, Beers, and a Mechanical Bull, bringing a new vibe to I-Drive 360. 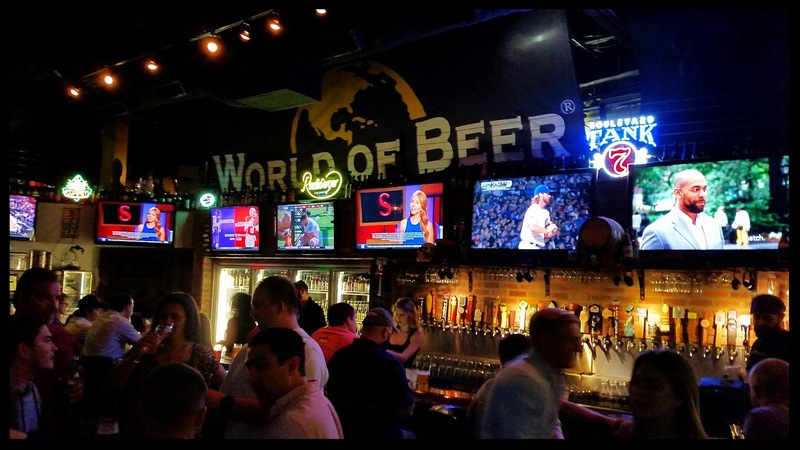 The new restaurant and bar features Orlando's only mechanical bull and is the perfect place to kick up some dust, enjoy a cold longneck or sip a whiskey and grab some BBQ. Cowgirls Rockbar is quickly becoming known for its beautiful Cowgirls who serve up Southern style dishes and cold drinks along with plenty of banter. Getting to know the servers and bartenders is all part of the experience. So is dancing on top of the bar at any moment. At the center of it all is the mechanical bull. It's ready and willing for anyone who wants to go for a ride as speeds range from super-slow to hang-on-for-your-life. It's the star of the show, whether you're on top of the bull or just watching from a bar stool. Cowgirls is open for both lunch and dinner. 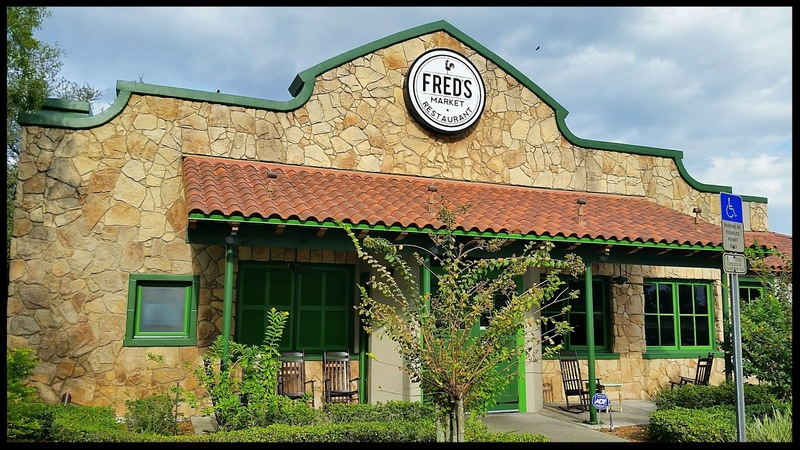 Signature dishes include BBQ platters piled high with smoked brisket, pulled pork and smoked turkey, along with southern-style sides like mac 'n cheese, baked beans, coleslaw and cornbread. Guests can also get a bowl of Cowgirls Almost Famous Gumbo, filled with smoked chicken, andouille sausage, crawfish, okra, peppers and slowly simmered in a dark Louisiana roux. You can finish it off with an old fashioned root beer float or banana pudding. Cowgirls is aiming to become one of Orlando's top spots for a wild night out for birthdays, bachelorette parties or other special events. DJ's will keep the party going all night long with a mix of country, pop and rock hits just steps from the Orlando Eye. 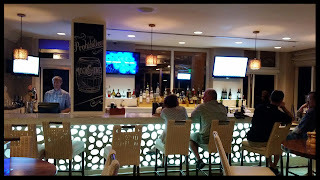 In addition to being a really fun and unique resort style hotel, the Fort Lauderdale Marriott Pompano Beach Resort and Spa also has some pretty good food on tap at McCoy’s Oceanfront restaurant. 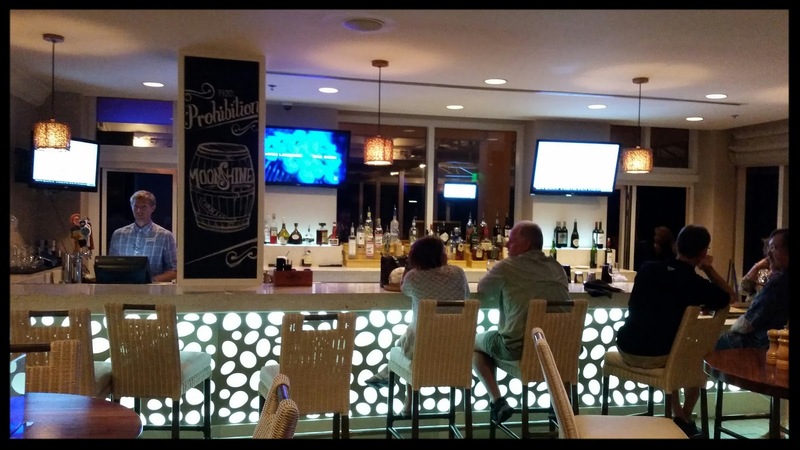 McCoy’s is known for its contemporary presentations of seasonal, local and sustainable ingredients with a focus on Florida seafood that is served in a casual ocean view setting. The beachfront restaurant and lounge pays homage to its Prohibition-era namesake with a classic cocktail menu featuring fresh pressed juices and dark spirits that channel McCoy’s rum-running days. If old fashioned cocktails aren't your thing, McCoy’s also offers an extensive wine list and a nice selection of beers. The menu stays true to what you would expect a South Florida oceanside restaurant to offer with a great selection of seafood entrees. Some of those entrees include Florida Pompano, Crispy Skin Florida Snapper, Blackened Salmon, and a Five Spice Grilled Tuna. For you non seafood lovers, they also have a wonderful Sauteed Short Rib, Pork Paillard and Farro Risotto among other offerings. McCoy’s is open for breakfast, lunch and dinner. At breakfast you can order a la carte off the menu, or you can opt for the buffet. The buffet is full of wonderful choices and is not your average continental breakfast. Home fries, eggs and omelets cooked to order, applewood smoked bacon, sausage egg and cheese stuffed biscuits and buttermilk pancakes are just a few of the selections. McCoy’s prides itself on custom cocktails and the Giggle Water with Crop Organic cucumber vodka and fresh lemonade pictured left, and the Alderman’s Mule with New Amsterdam vodka, fresh lime juice and ginger beer were pretty tasty libations. The Fried Green Tomato Mozzarella is stacked with thick slices of mozzarella, heirloom tomatoes and fried green tomatoes with pesto and a balsamic glaze. Spicy Tuna Tartar is an elegant display of fresh and spicy tuna with avocado, wakame and wontons for dipping. You can't go to Pompano Beach and not get the namesake fish. The Florida Pompano at McCoy's is flour dusted and Fried and served with Yukon potatoes, lemon white wine butter sauce and baby arugula. The taste and preparation of this fish was simply amazing. The Braised Short Rib with caramelized fennel mash and oyster mushroom haricot verts with a horseradish cream sauce is an outstanding dish. The short rib itself was wonderful, but just as impressive was the caramelized fennel mash. Whether you want lunch or dinner, McCoy's has you covered. The Avocado Turkey Burger served on a honey wheat bun with ground turkey and an avocado puree was a delicious choice with plenty of flavor. If you're not sure about what to have for dessert, try the Best Of Both Worlds with a chocolate cake, chocolate mousse, creme brulee and a raspberry coulis. Very light, and very good. McCoy’s is open daily for breakfast, lunch and dinner. They have featured Chef Specials throughout the year, as well as a daily Happy Hour from 5 to 7pm. Live entertainment often continues throughout the weekend, ranging from an island tropical vibe to mainstream music.